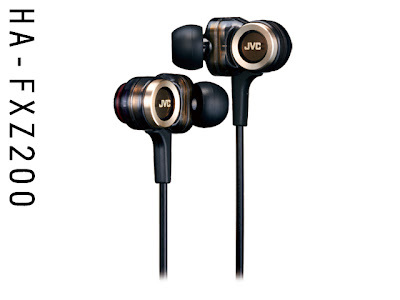 Not that we didn't see this coming - JVC just announced upgraded models of their 'Twin System' by incorporating a third driver and make it the world first triple dynamic IEM. Two models will be released: HA-FXZ200 and HA-FXZ100. The difference between the two models are (1) the silver plated OFC in the FXZ200 vs. the normal OFC in FXZ100 and (2) brass parts in FXZ200 instead of aluminium parts in FXZ100. Thought using three drivers, the front two micro drivers of FXZ200 / 100 seems to be the same, so it is still a two ways setup like FXT90 (which has two different micro drivers) *Early report suggests it is a three-ways after all. MSRP for FXZ200 is estimated at around US$280, which is about double what FXT90 is going for these days. I really hope the extra driver and all the brass are worth that price hike.